The president believes he requires more than one election cycle to fully implement plans that'll help the nation progress. President Muhammadu Buhari has told Nigerians that he needs more than one term in office to fix the country&apos;s problems. The president said this during the 75th anniversary business lecture of the Island Club in Lagos on Monday, October 29, 2018. In a speech delivered by the president&apos;s representative, the Minister of Power, Works and Housing, Babatunde Fashola, he said it requires more than one election cycle to fully implement plans that&apos;ll help the nation progress. During the lecture, titled "Nation building and institutional development, lessons for Nigeria from the Island Club at 75", the president pointed out that the Island Club used to stage its major events in the open air because it had no hall but now could afford one. He said this proves time is needed to deliver change. "It took more than one term and one election cycle of the Chairman of Island Club to build this hall just as it will require more than one election cycle to build the nation and deliver change," he said. 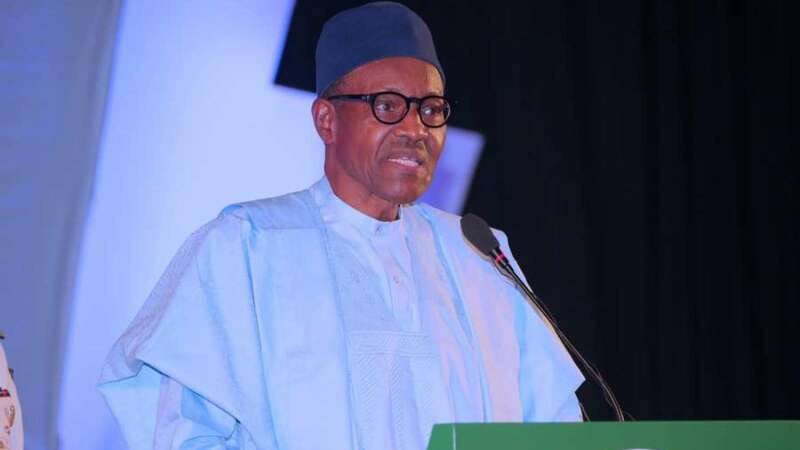 The president urged Nigerians to back him to win the 2019 presidential election so he can enjoy the fruits of his efforts in placing the country on the path of sustainable growth in his first term. Praising his administration&apos;s achievements in the agricultural, manufacturing and power sector, the president said he&apos;s eager to get another term in office so he can continue to help hard-working Nigerians benefit from the country. "It is because of these small business owners, hard-working Nigerians that I am offering myself to serve for one more time, " he said.